At the top of the Admin page, click Admin > Integrations. The Bridge Server includes its own logging system for logging information about the internals of the server. These log files contain low-level process details that can describe any problems with starting the server as a whole or with receiving messages. For example, if the Windows processes of the server do not start or there are no relevant traces in the connector log files, check the Bridge Server log files. ininbridgeprocesslauncher.ininlog: these log files record information about Bridge Server processes, suchas crashes and restarts. 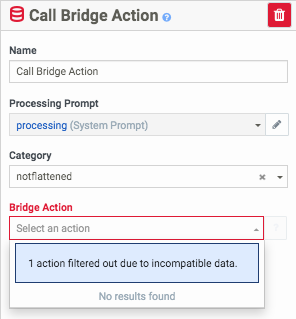 On the Bridge page, click the Servers tab. Click the server whose log files you want to view.